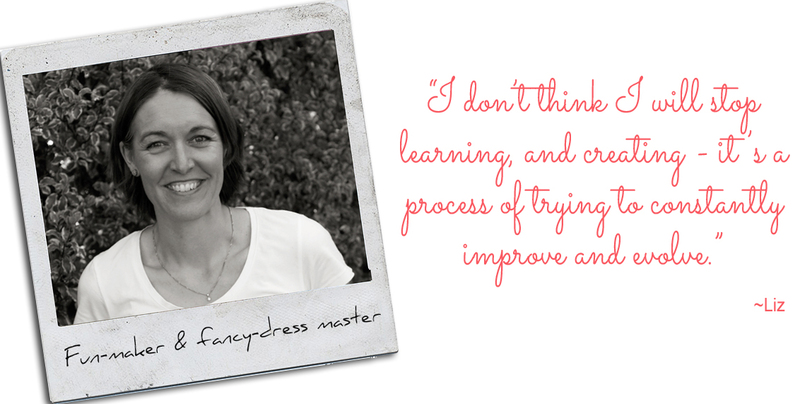 Hi I’m Liz, solo creator and maker at Schooza, where I create gorgeous birthday crowns and fun dress-ups. 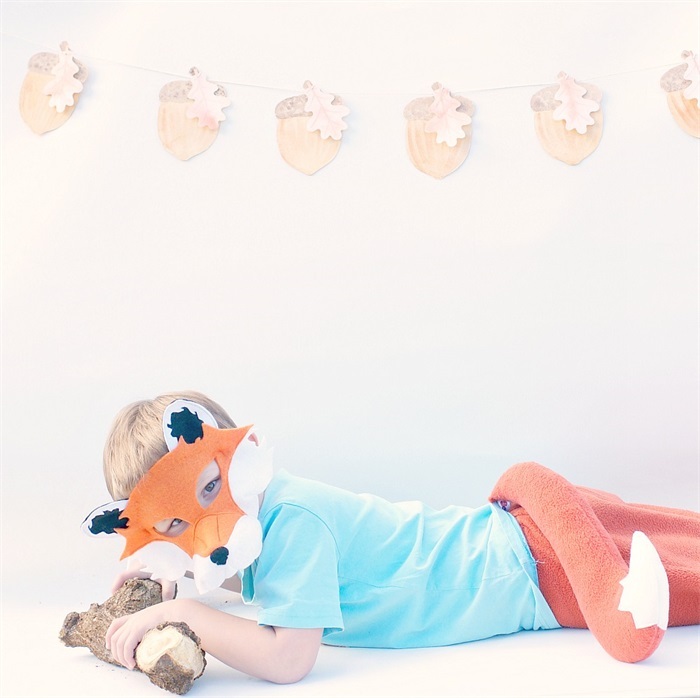 My range includes glitter crowns and an ever growing menagerie of felt animal masks and clip on tails. I opened my Made It store in late 2013, while working part-time and looking after my two boys, who are now 5 and 7. Made It has a great connection with its sellers as a small Australian business, and like many of the store owners, we are united as mammas trying to do everything! I live in Hobart with my husband, 2 boys and our golden retriever, Miff. I love the outdoors and we are so lucky to live close to the beach here. Although it is often cold, it is such easy entertainment to take everyone down to the beach and run off some energy, see who can dig the biggest hole (I think it’s a boy thing! ), explore the rocks etc. I’m lucky enough to have a sunny and bright spare room to use for my workspace. It looks out over the kids’ treehouse and now they are older I can watch them play from there too. Like many creatives, I have an ever growing collection of fabric and supplies. Until very recently, I made all my products on my trusty Elna sewing machine, which my mum gave to me when I was 16. 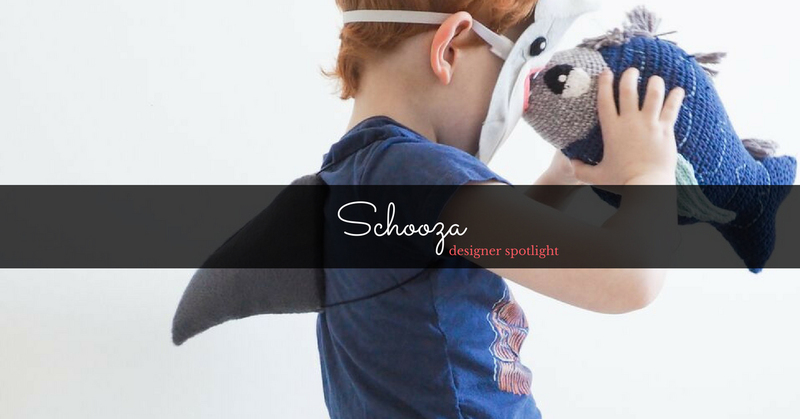 My children are my biggest inspiration, and my store name, Schooza (pronounced s-k-oo –za) is actually a word my son made up when he was little. He was racing around the room, jumping up onto his bed laughing, when asked what he was up to his reply was 'I'm schoozing'. I have embraced this fun-filled childhood play when designing my products. 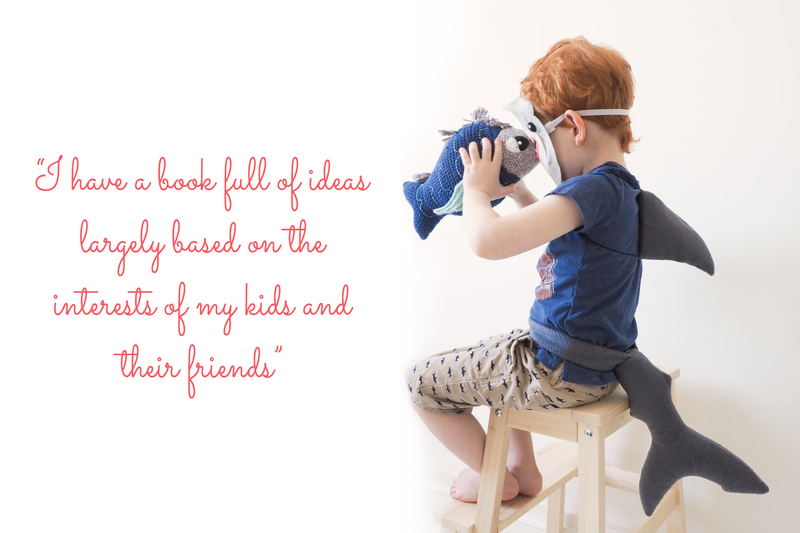 I have a book full of ideas largely based on the interests of my kids and their friends, along with ideas they come up with. Now, I just need a few more hours in the day to create them all! I particularly love creating products for BOYS. 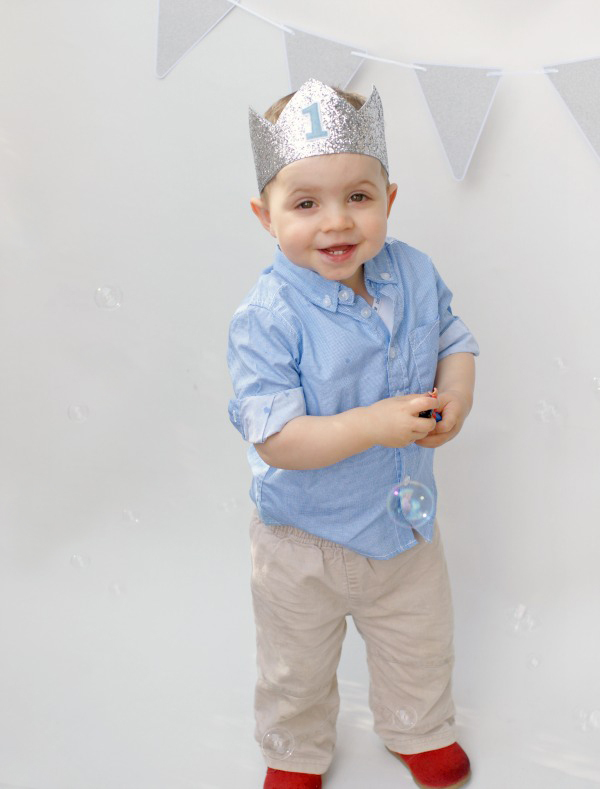 I love being able to offer mums of boys something fun like a big bad wolf costume to wear for a school dress-up day or a special glitter crown for a first birthday. I also take inspiration from the amazing Australian animals we have here. 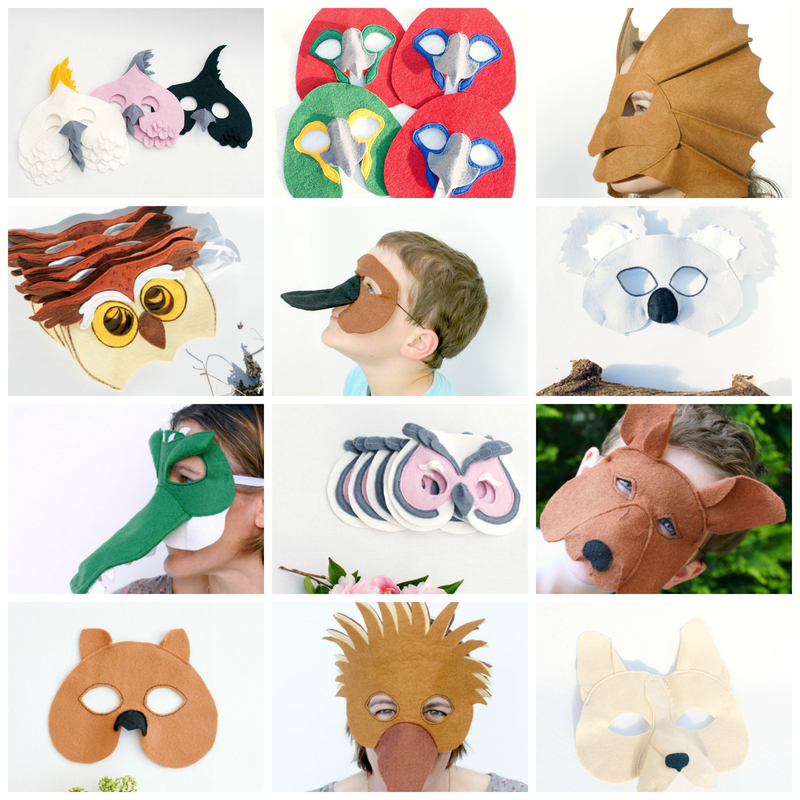 I was thrilled when an Australian school contacted me to make a range of nearly 70 Australian animal masks for their entire staff to wear for Book Week. Like a lot of creative businesses, I started Schooza after encouragement from friends; I’d been making things for friends’ babies and my kids’ friends, when I decided to set up a stall at a local market and see how it went. I only sold one thing that day, so with the remaining stock to sell and determination to do better, I started my Made It store. I had no business or sales experience - my first online listing photos were terrible – and there has been so much to learn along the way. From photography, writing product listings and all the skills other than the creative stuff that goes hand in hand in having a handmade business. I don’t think I will stop learning, and creating - it’s a process of trying to constantly improve and evolve. 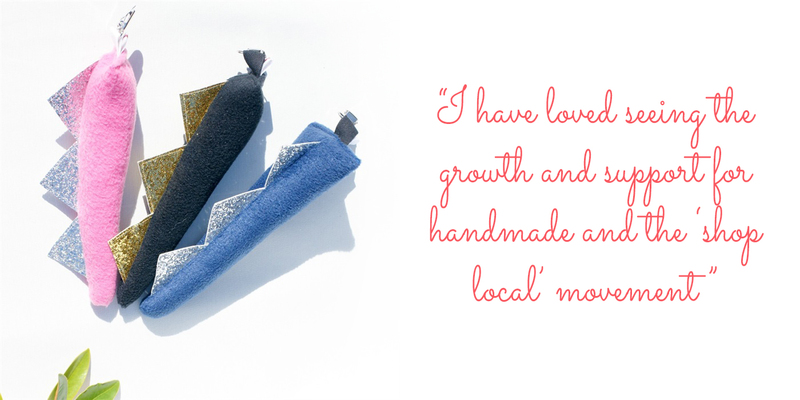 I love the sense of community I have discovered from having a handmade business. From local markets I attend, to online groups I am involved in, everyone has a different story to tell/reason for being in business and we all support each other. Whether it is helping each other out with how to approach something, sharing experiences, collaborating or buying from each other, I have found a real sense of family in the handmade community. I love that every time you buy something from a handmade business on Made It, it has been created here in Australia by a local and you are giving money back to the local area. I think consumers are much more conscious of where their products are coming from and whom they are supporting these days. I have loved seeing the growth and support for handmade and the ‘shop local’ movement over the years I have been selling on Made It.